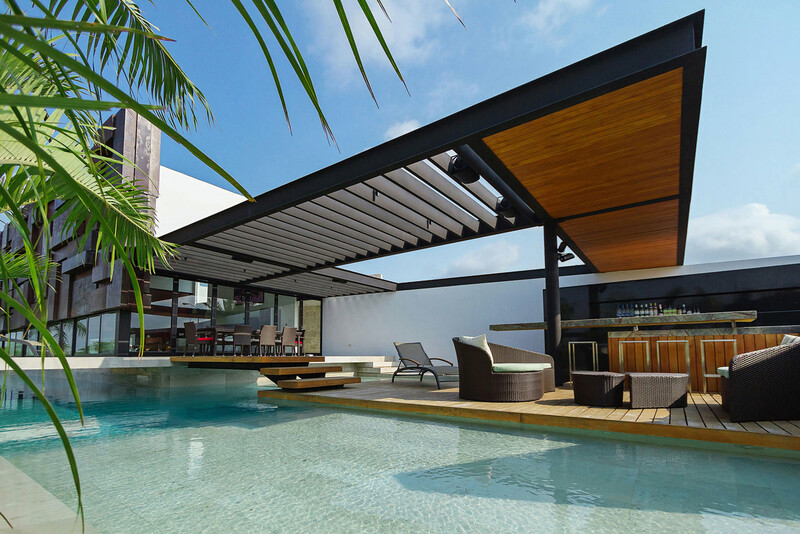 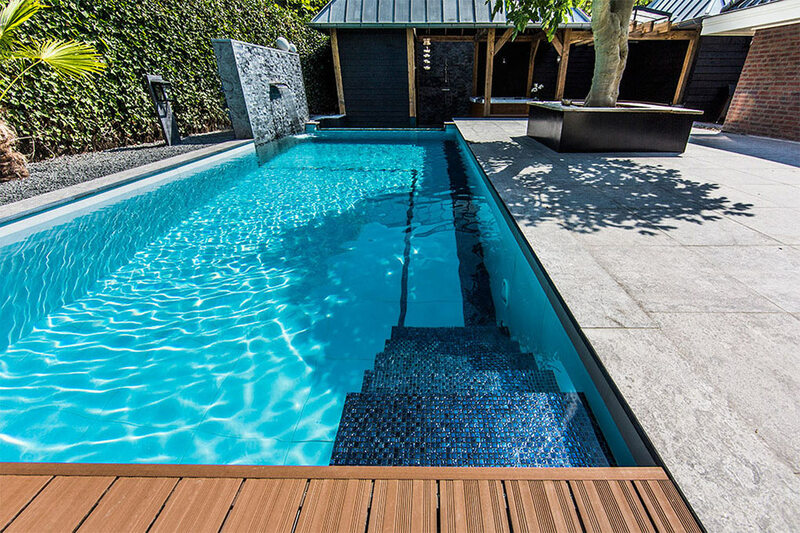 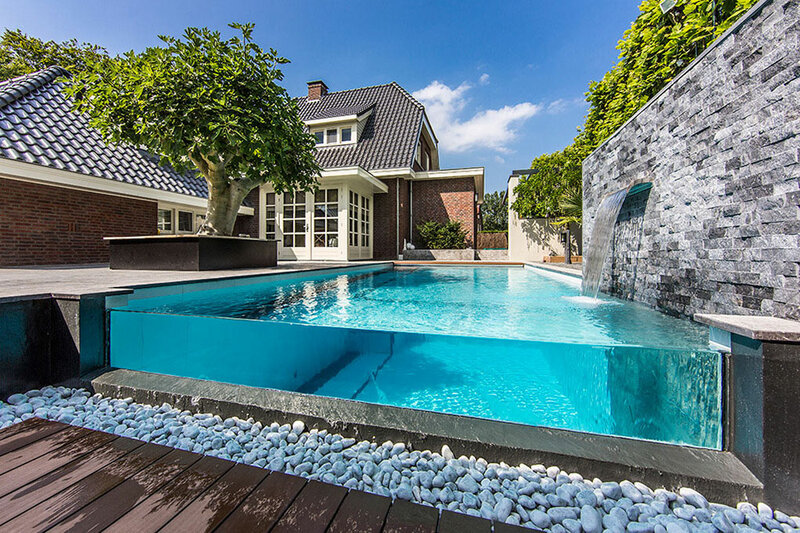 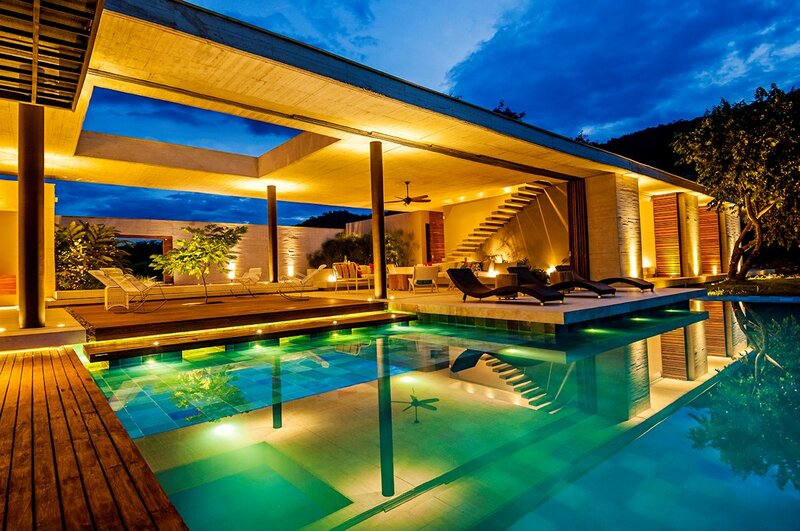 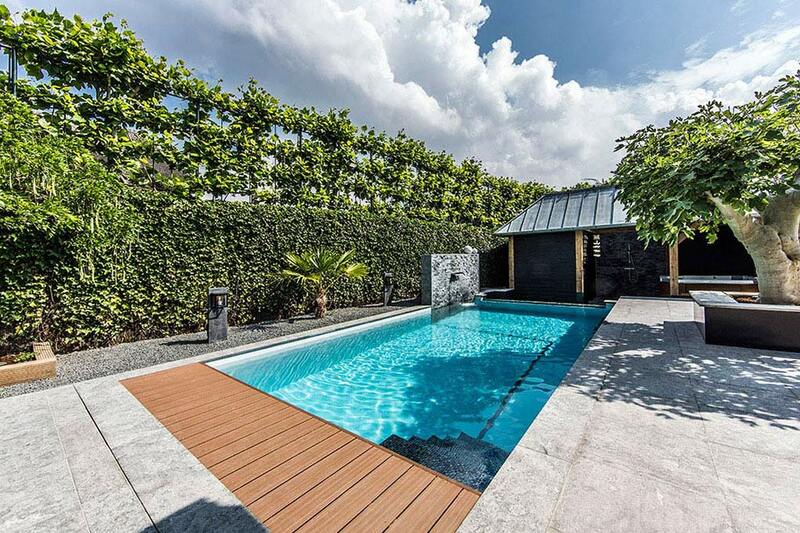 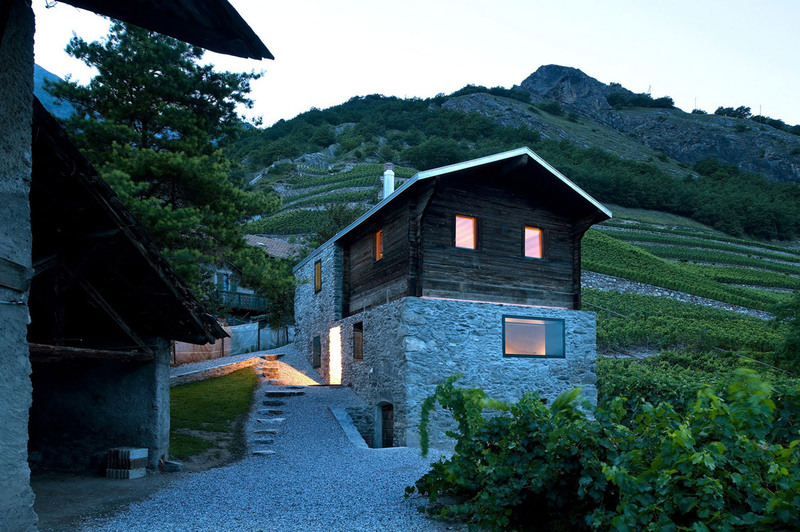 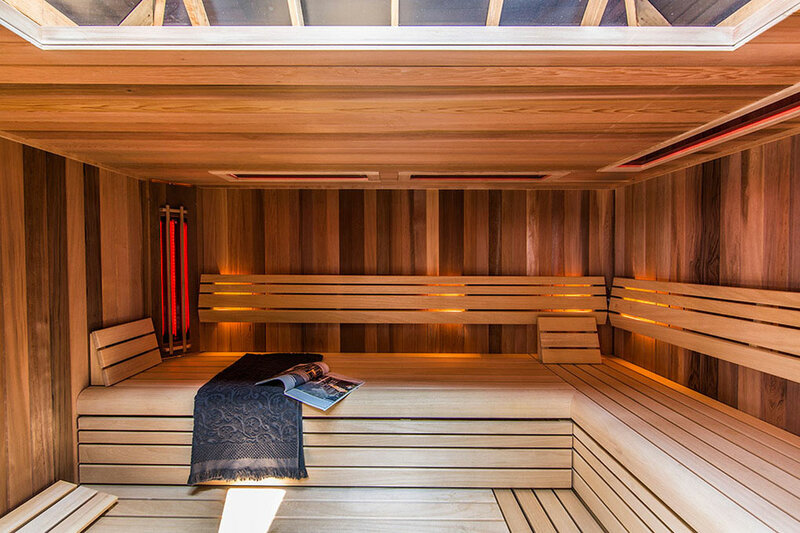 The Aquatic Backyard was completed by Dutch studio Centric Design Group. 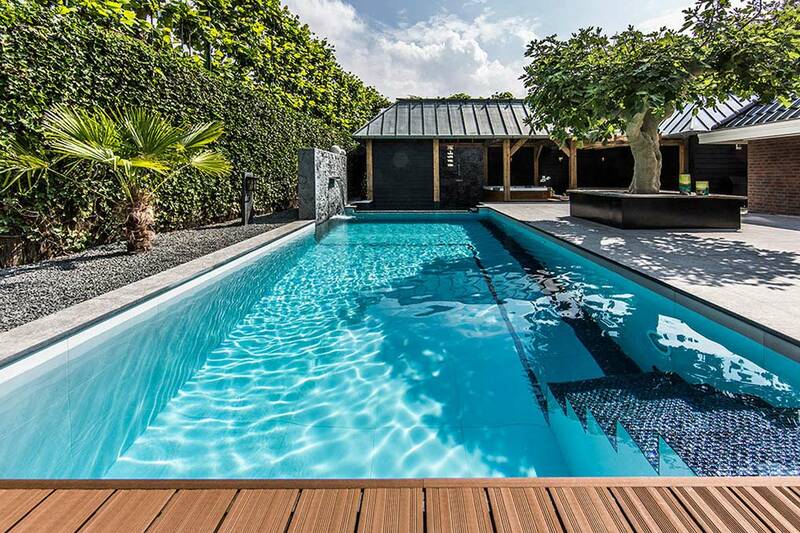 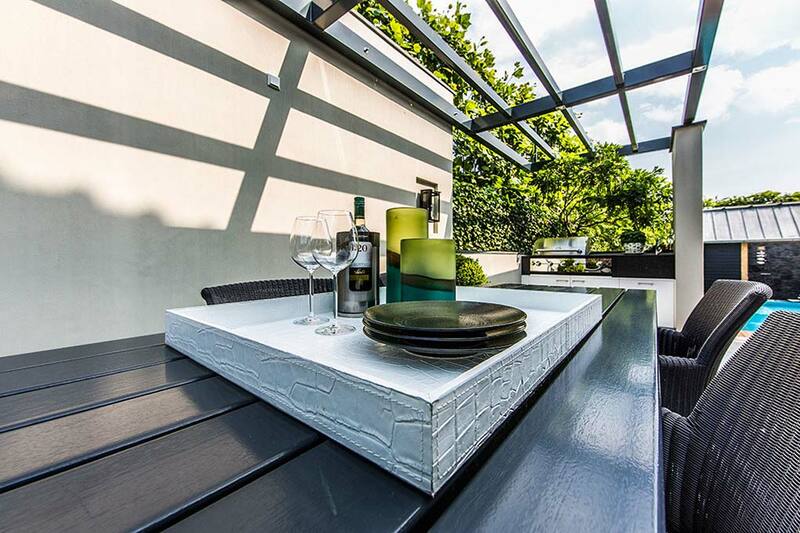 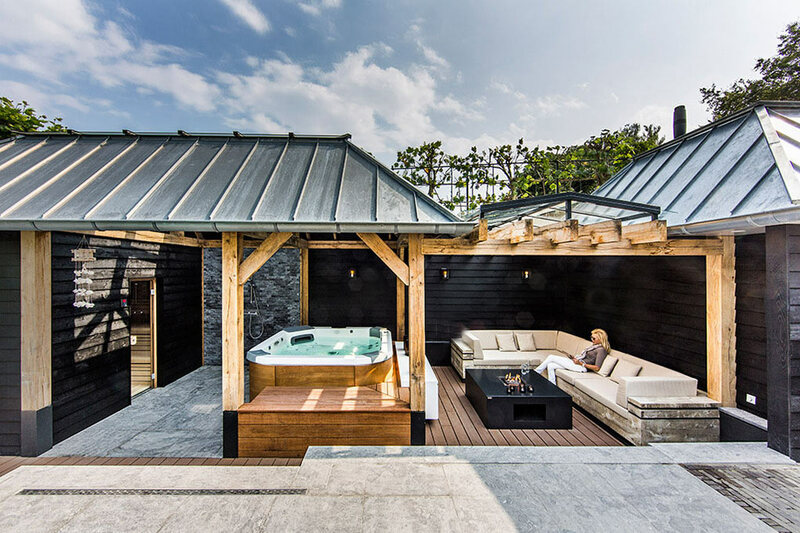 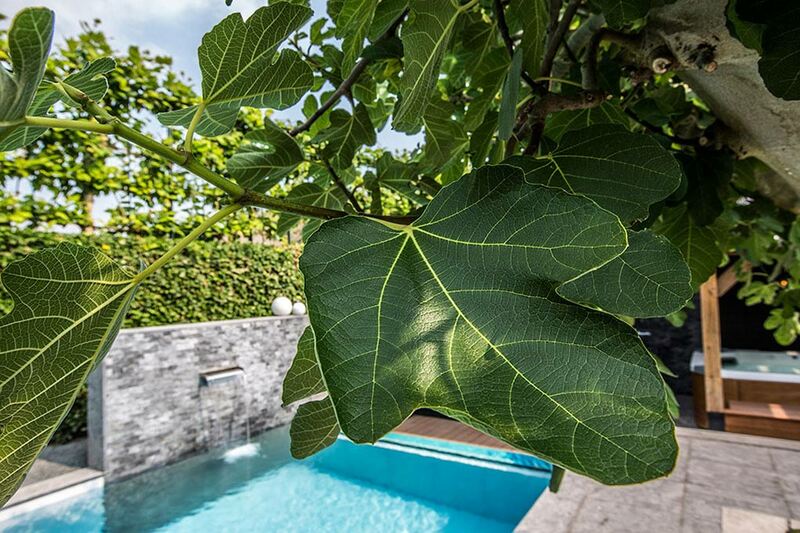 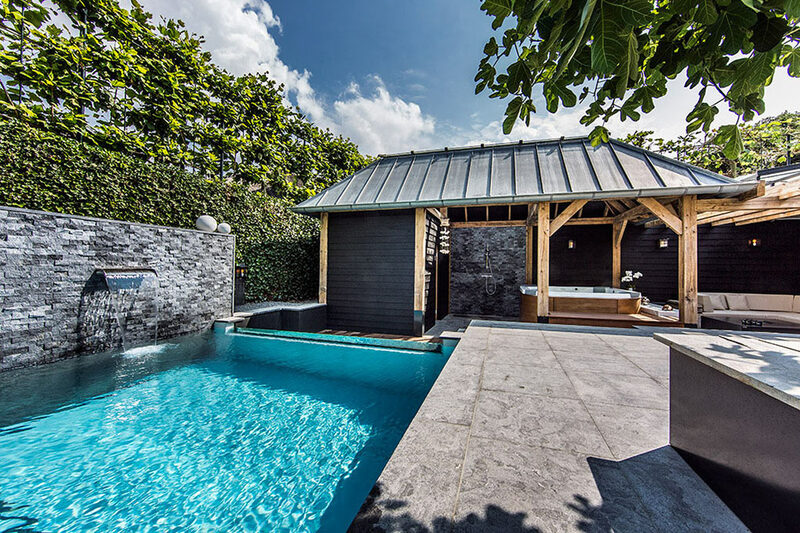 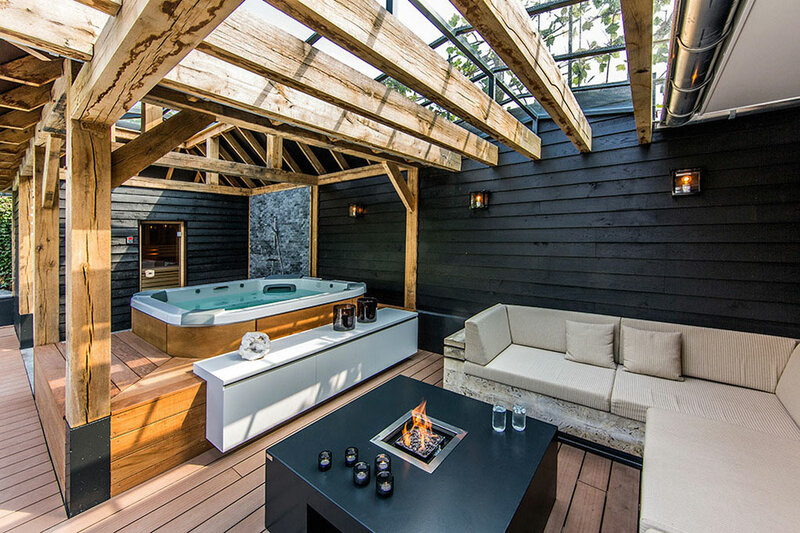 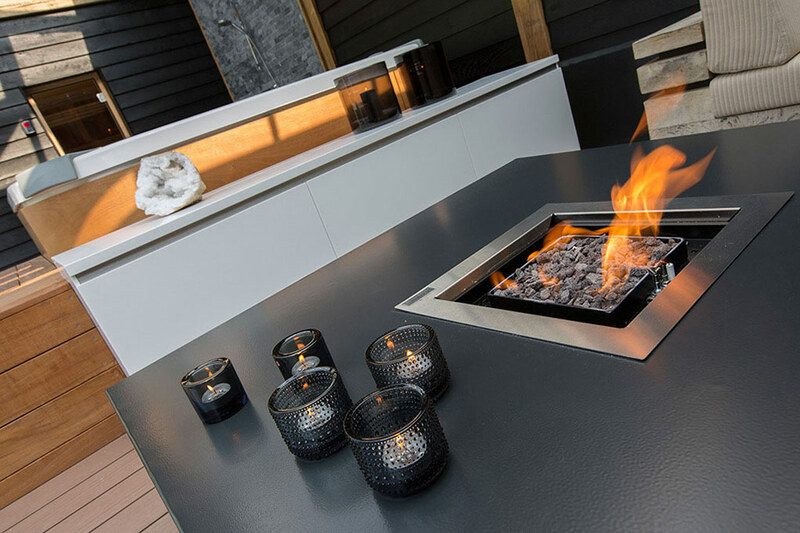 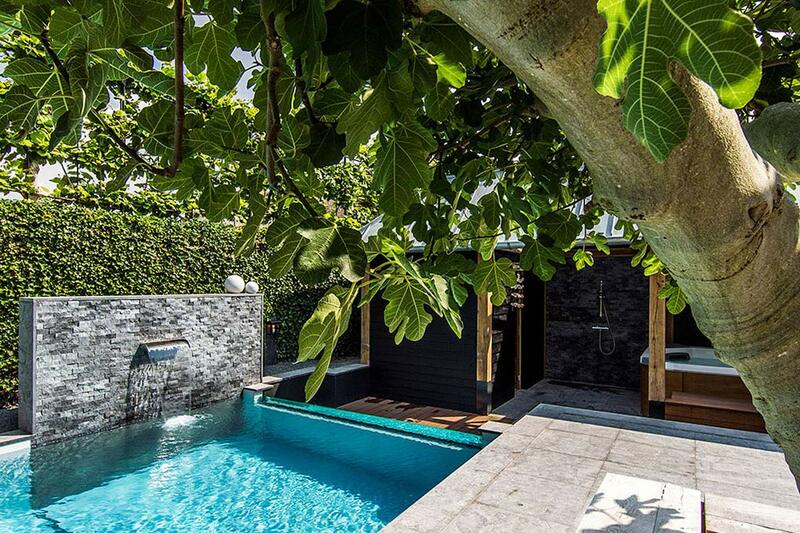 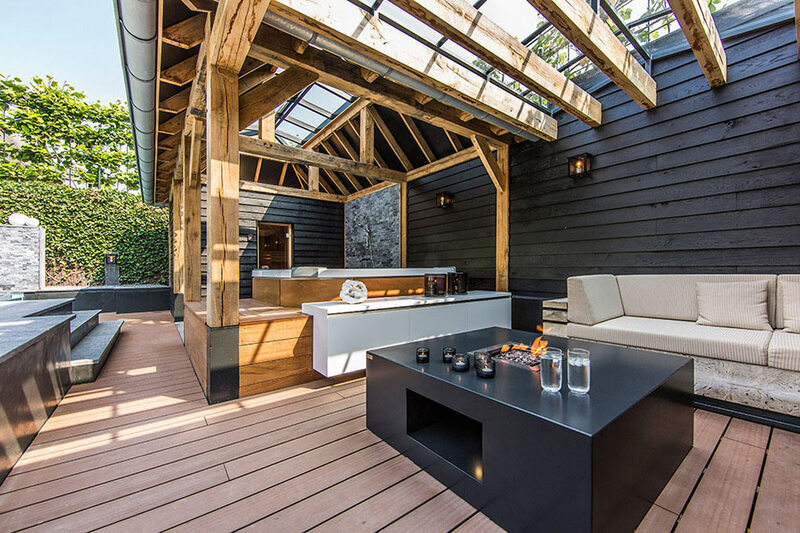 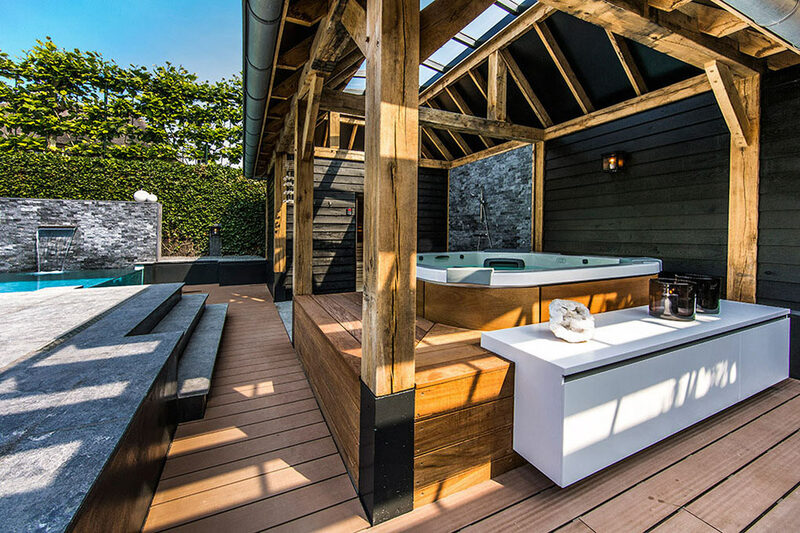 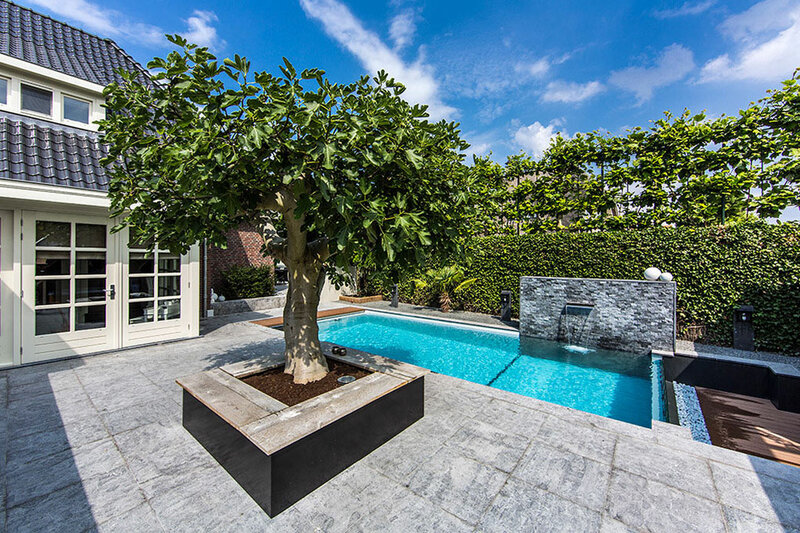 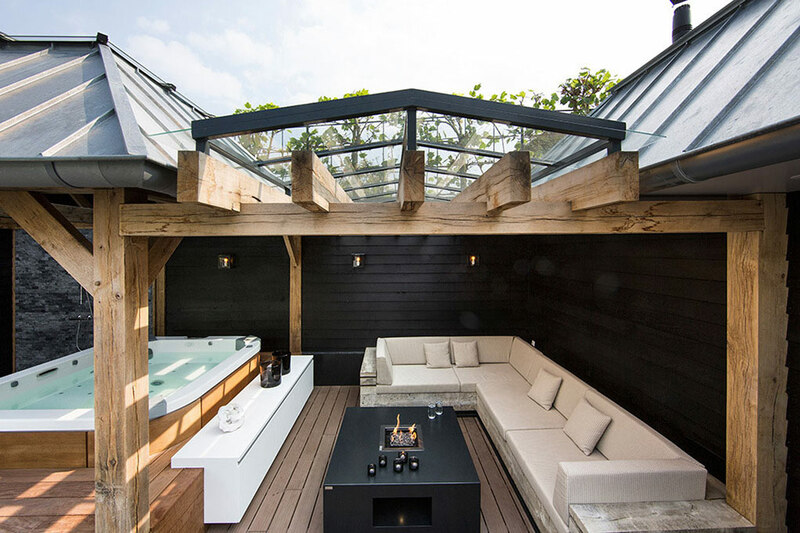 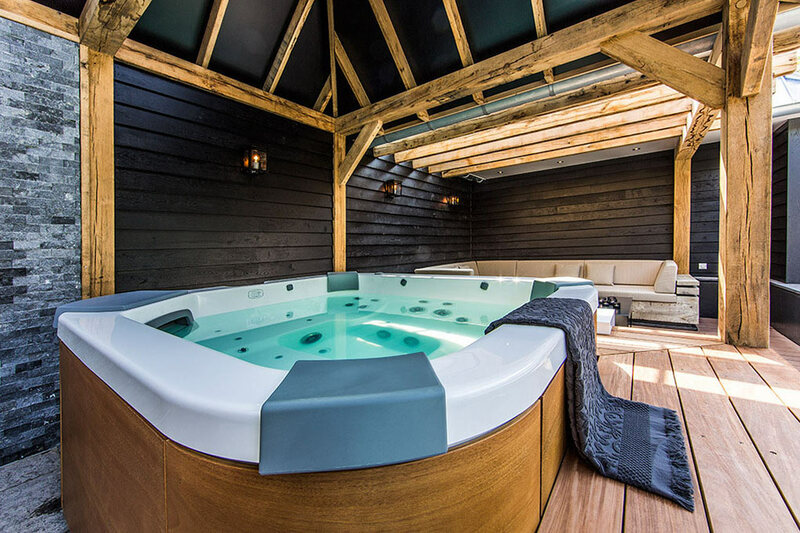 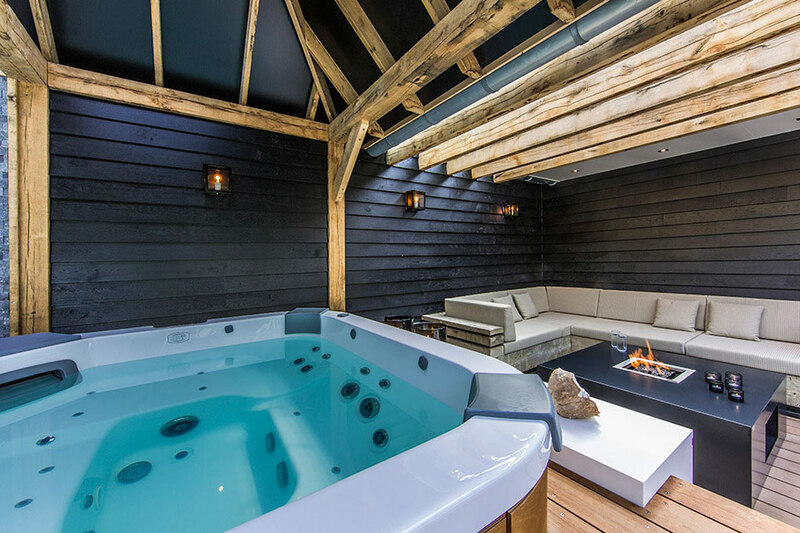 This wonderful outdoor space was designed for the owners of a coastal villa in The Netherlands, the backyard features a pool, Jacuzzi and lounge area. 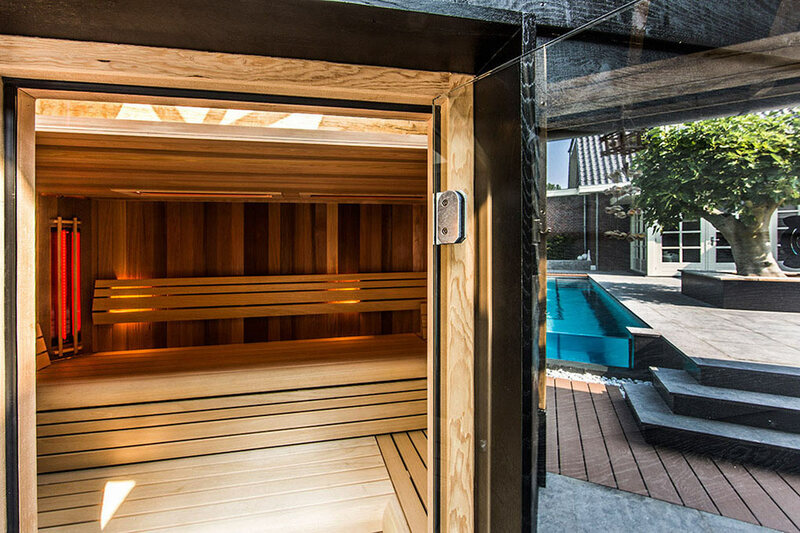 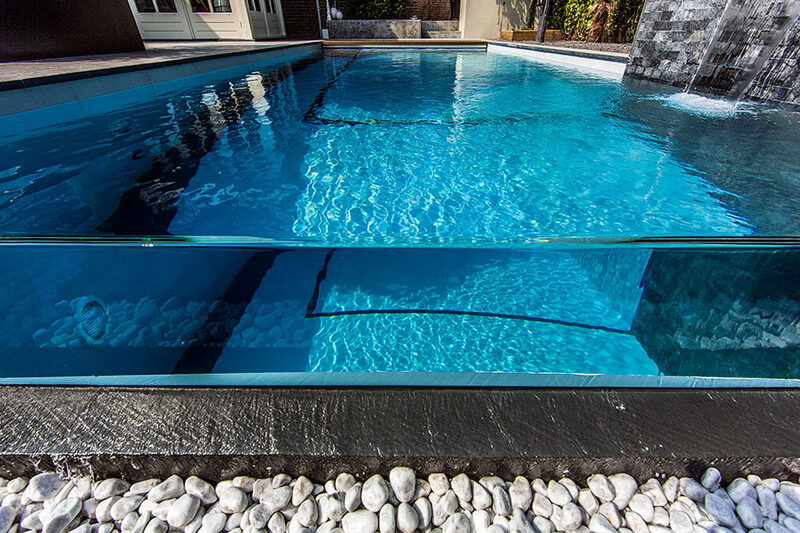 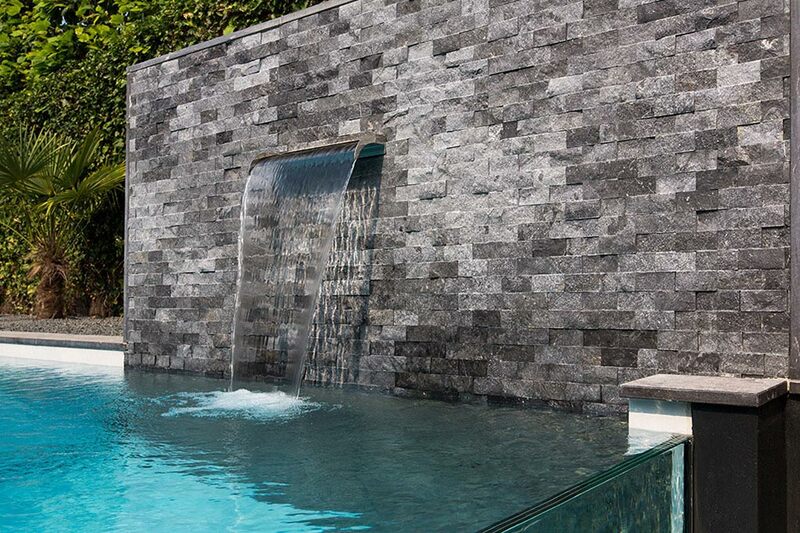 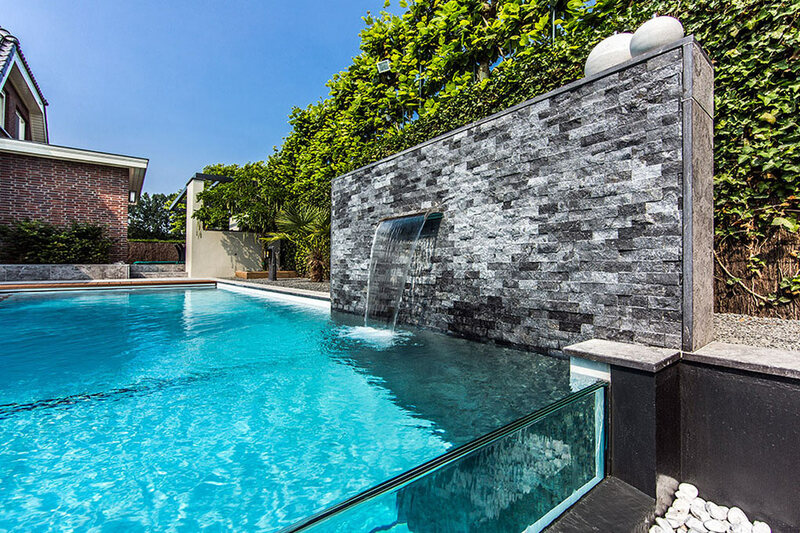 The swimming pool has been finished with a superb see-through acrylic wall. 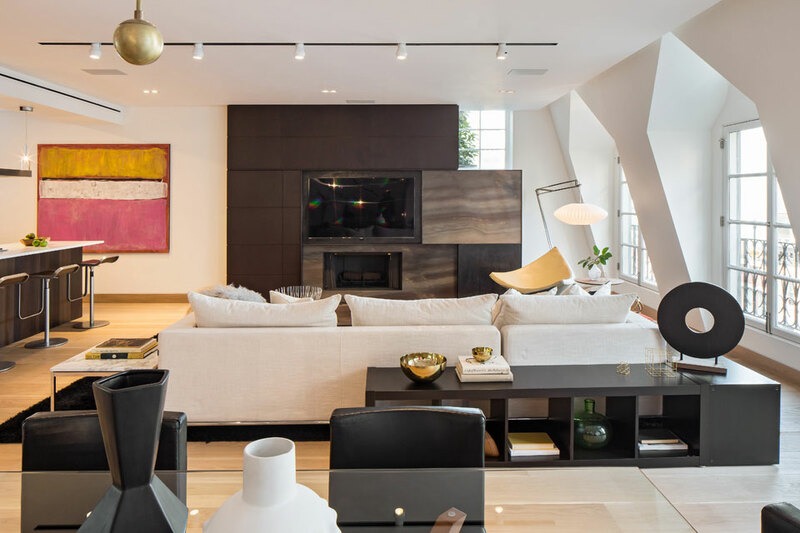 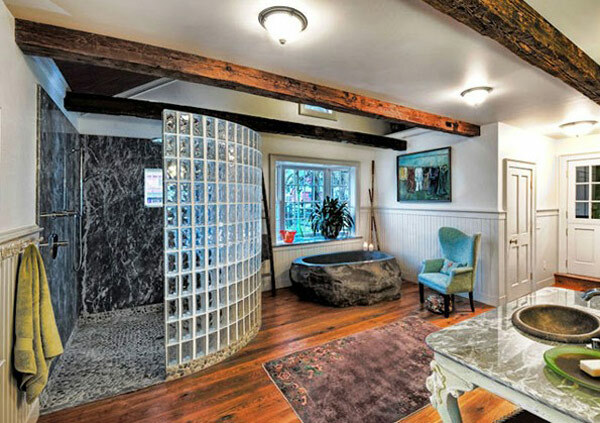 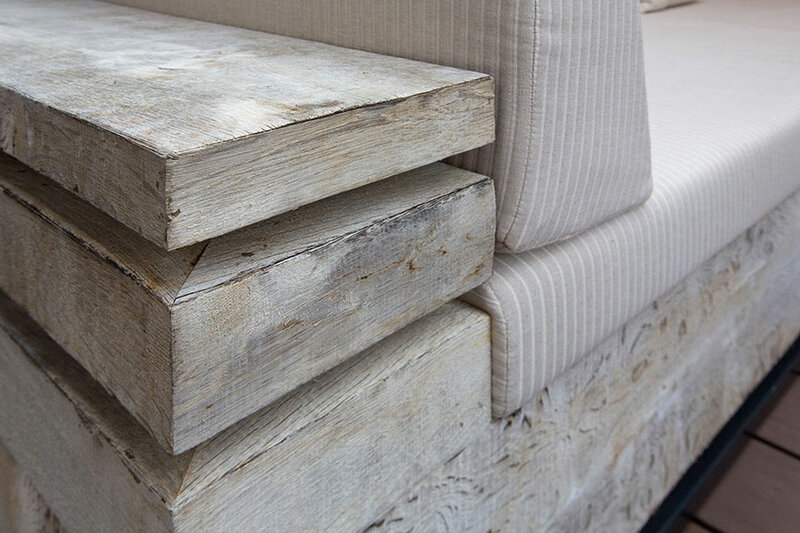 The lounge includes a coffee table with a fireplace, sofa and sideboard.